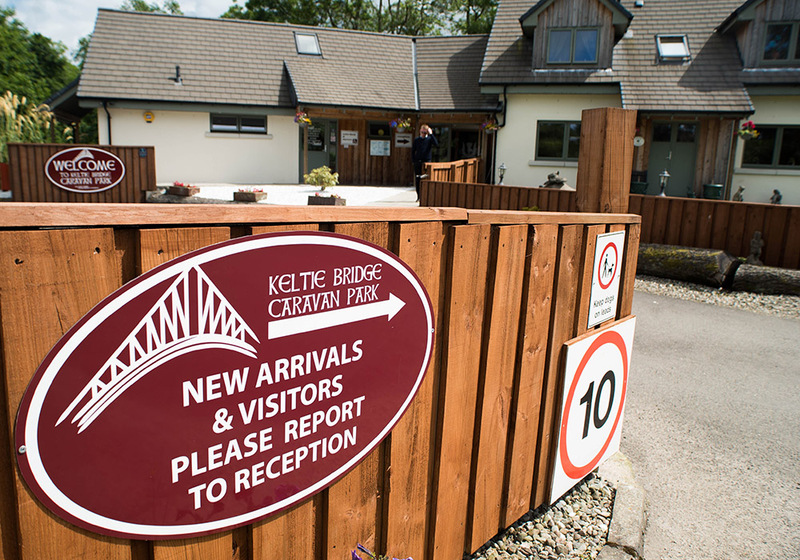 Keltie Bridge is a family run caravan park situated close to the town of Callander, within the Loch Lomond and Trossachs National Park. We are an award winning 5 star park graded by Visit Scotland. We offer pitches for touring caravans, motorhomes, campervans & tents. Cyclists & Walkers welcome. We are a pet friendly Caravan Park. We also have 44 permanently sited private holiday homes. Keltie Bridge enjoys a quiet riverside location in the country with easy access off the A84 trunk road. Callander is within walking/cycling distance – either directly via a tarmac footpath or a woodland walk along a disused railway line which is now converted into part of the Sustrans national cycle network. Alternatively there is bus stops located at the top of the main road which can take you to either Callander or Stirling. We are approximately 20 mins drive from all major motorway links. Callander lies on the edge of the highlands in a valley carved out by the river Teith. The valley is one of the main routes north into the Highlands making Callander an obvious stopping point for any Scottish tour and is named ‘The Gateway to the Highlands’. The surrounding area known as the Trossachs, contains some of the most attractive scenery in Scotland. Its magnificence has been recognised by inclusion in Scotland’s first National Park along with Loch Lomond. From Keltie Bridge Caravan Park you can access many walks in and around Callander including The Bracklinn Falls Circuit, The Glacier Trial & The Drumdhu Woodland Walk. For the more adventurous Ben Ledi is a short drive away. A big part of Callanders heritage lies within Keltie Bridge Caravan Park, Auchenlaich Chambered Cairn is the longest known Neolithic burial cairn in Scotland at 322m this run through the park and out into the fields beyond. 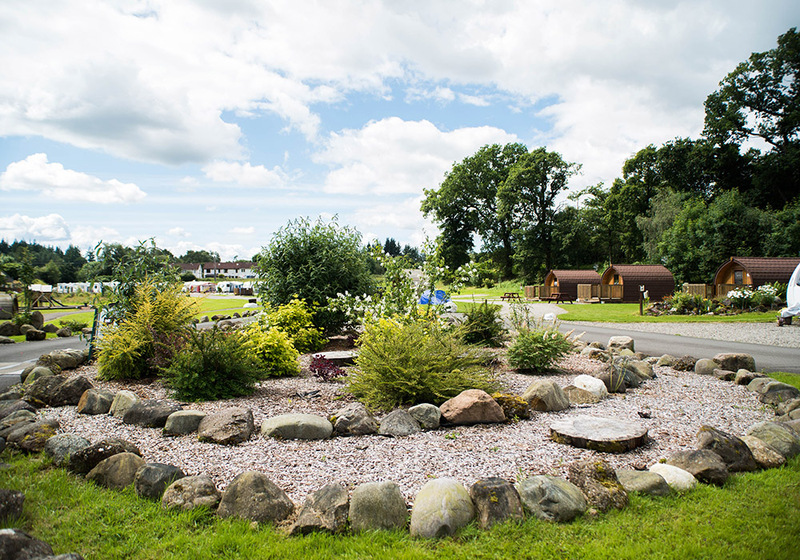 A warm welcome awaits you at Keltie Bridge Caravan Park, come and enjoy a tranquil stay in our beautifully kept, well maintained site and enjoy the beautiful surroundings of the National Park while exploring the town of Callander.